I have so many projects going on that the progress of each one is slowing down. Above is my pink cardigan which I love working on. I am sure by this afternoon the body will be finished and a sleeve will take shape. How exciting!! I know I will be making another sweater with this pattern assuming I like the fit (fingers crossed). My dad's Christmas socks are very neglected in my knitting bag as well as the fingerless mitts. Since three projects are not enough on the needles, I started a very long term project-a circular lace shawl. I have not made up a ravelry page as of yet. Maybe today I will get that done. My book. It is good! Seriously, I do not know why they had to advertise "Downton Abbey" as a lure. The only thing that is common with DA is she is a servant and times are changing. I think what makes this book intriguing is the story line keeps me wanting to read to see what happens. So instead of falling asleep on the first two pages while reading at night, I make it to the end of a chapter. Speedy reading for me!! I am about half way through The House at Tyneford and I am so very glad that I impulsed bought the book. I'll have to check out that book. I'm in a bit of a new-book drought right now. Loving, loving, loving that pink! That pink is awesome! And the book, well it sounds awesome. I think if I saw Downton Abbey on the cover I would probably pick up the book...so good advertising on the publishers part! 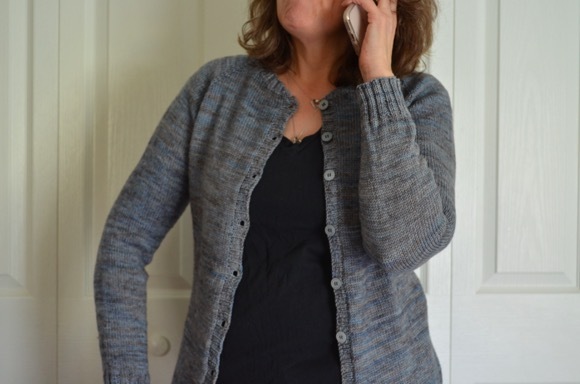 Ooh your pink cardi is looking wonderful and looks like it will be ready very soon! yes, the downfall of starting many projects simultaneously is that it takes longer to finish each one. the cardigan looks very nice! The color on your sweater is gorgeous! Love the jumper, the colour is beautiful, I too keep casting on more and more projects and leaving my christmas gifts that really really need working on at the bottom of the pile! I think you have more "active" projects than I do!!!! (Just 'cause they are on needles doesn't make them active, right???) I adore that pink color----what a happy sweater that is going to be. Can't wait to see that one modeled!! I love when an impulse buy book turns out so good. Lucky! Your cardigan is looking so gorgeous! I can't wait to see the final product and at the rate you're going, I won't have to wait too long! The cardigan is looking nice :-) I am disliking having so many projects going at once lately because I just want them all to be done. Especially with the colder weather approaching. I adore that shade of pink! House at Tyneford has been on my list for months and months - glad to hear it's as good as the hype! Ok. I'll put that book on my queue. I'm hoping to get some serious knitting done today since it is rainy and we are suffering jet lag. That pink is just sooo pretty!! I'll have to add that book to my list. 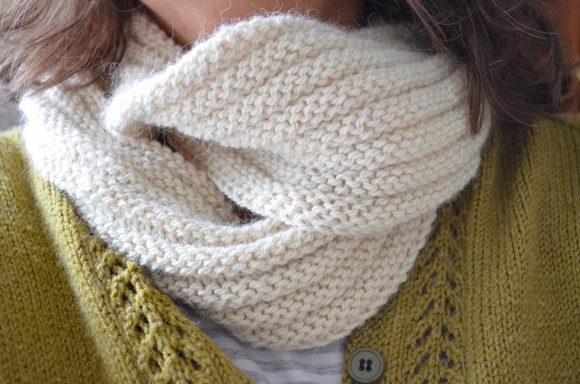 :) I found you through the link up, I'm sharing toddler leg warmers and my mama scarf this week. Happy knitting! Oooh, I love period literature, sounds like a fun read:) I love the colour of your cardi-delicious! I'll have to check out that book- love historical type novels! And I'm in love with your pink cardi! adding that book to the list of must reads! It must be a good time for knitting - I can't stop casting on either, even though it doesn't really help with finishing anything. That pink is gorgeous! I'm learning about having many projects going at once. That book sounds very interesting. Lovely pink knitting - a nice cardy to brighten your days. You are making me want to read this! Maybe for our next book club that I get a choice!! Sorry I've been so absent in the blogosphere... it's been so busy! Loving that pink...ohhh to die for! I cannot wait to see it finished. I cannot believe you have that much going on! Love that cardigan! It's absolutely gorgeous and will be a beautiful pop of pink in the upcoming fall days. Lots of projects is not a bad thing! That sweater looks soft and cuddly. i will have to check out the book it sounds good.